This is a rather simple post. It shows two methods in which you can use the fl. * package in your NON Flash IDE. I got stuck with this bugging bug!! and I just HAD to share it. So, I had a Main SWF that loaded up a MapClass swf and a SHELL that loaded up the Main swf. Everything worked when I debugged the Main SWF alone. But as soon as I debugged the shell, I got the following error. Exception fault: TypeError: Error #1034: Type Coercion failed: cannot convert a.b.c::MapEvent@c899eb1 to a.b.c.MapEvent. Basically, I had 3 levels of nesting of swf's. When I compiled the Main.as file it automatically compiled the event class and had it ready for the Erroneous Swf to use. So everything was peachy! However, when I compiled the SHELL SWF, it didn't compile the Event Class because there was no reference to it in the Shell.as class. 2) Import the Event Class so that it gets compiled. I’ve been working on a game where I needed a scrolling horizontal carousel (if you may). Anyway, there were 2 issues. I’ll explain them with code and examples. ISSUE 1: It seems like the solution to this issue, didn’t change much visually, but I like this way better. Feels more logical. So I had my class setup like below. 1) add the MOUSE_UP & MOUSE_MOVE event listeners to the stage. 2) add the MOUSE_MOVE & MOUSE_UP event listeners when the MOUSE_DOWN was triggered. 3) remove the MOUSE_UP & MOUSE_MOVE when the MOUSE_UP was triggered. PS: I realized a few other silly things I had done, which were corrected & commented in the code. //Dont want it to scroll if the mousePos hasn't changed. //TODO: Cannot hard code the bound limits - different for different derived class objects. The scrolling seems a bit jittery doesn’t it ? Yes it does. Try scrolling small amounts. It’s still jittery. The various probable causes that we thought of (just to mention) were. – The Tweens were overlapping. ie. Before the 1st tween could complete, another tween would begin due to the dragging. : Killed all tweens for the object before starting a new tween. None of the above were the issue. Finally mrmg, suggested that I replace “mouseX” and use “event.stageX” instead. Well guess what!!! That worked. I’m not sure why but from what I got to know from mrmg (by the way, that’s a person on IRC), was that it might be due to 2 issues. – The mouseX value might be getting cached on the last frame of the event handler, whereas event.stageX was not. I’m not sure if I still understand, why it really solved the issue. I’m glad it did or else I’d be stuck for days. If you know the reason, please comment. I really want to know. Here’s how it looks after the correction. Great little nugget of information. RobotLegs – Dispatching events from the view, making the mediator listen. So basically I was trying to do something really basic in RobotLegs and got stuck. Wanted to dispatch an event from a view and listen to it in the mapped mediator. to the stage ie. Before the view dispatched the ADDED_TO_STAGE event. for the view, which I think is when the onRegister() for the mediator gets executed. and called a public function view.init(); from the handler. Dispatched the desired event from the view.init() function. – Add mediators to views before adding the view to the context. – Before dispatching an event from the view, make sure the view has dispatched the ADDED_TO_STAGE event. – Listen to the ADDED_TO_STAGE event in the mediator and call an init() function on the view. Linked Lists and what not. I knew I was thinking too much for a simple problem but I couldn’t strike the solution. Then finally, I logged onto IRC and asked around. The answer was – YES! However, that’s not the one I chose. The stuff I couldn’t figure out was the “Links” between the nodes. 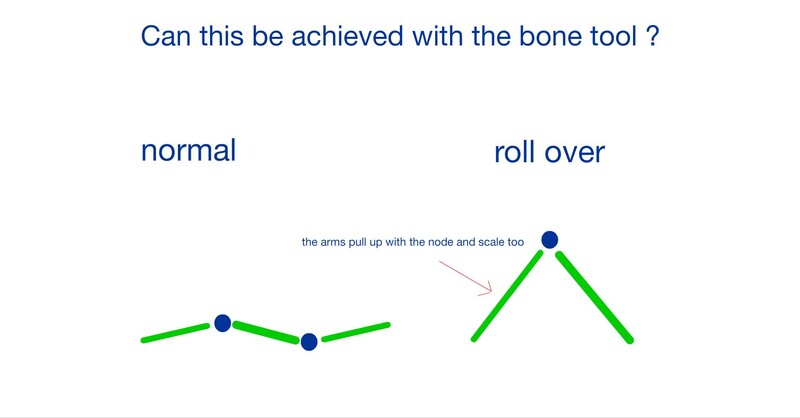 How would they rise / stretch when the node rises on rollover. Do I rotate them? Do I scale them ? What should I do ??? The solution was elementary – Anchor the links to the nodes and redraw the links every frame. Firefox MouseWheel Problem with Flash Embedded Objects. It’s been a while since I posted something new on the blog. I remember running into some problems a while back with custom flash scrollbars , the mouse wheel and firefox! The problem was that my code worked great in flash player but started messing up when I tested it on Firefox after embedding the swf into an HTML. Internet Explorer didn’t have an issue with the scrolling (although I had to click the flash object once to activate it), but for Firefox it failed miserably. So I googled like crazy, found a few workarounds and after reading countless articles and a few code hacks, I discovered that it was a problem with firefox. In very simple words, firefox liked taking control of all the MouseWheel events that occurred on the page. So they never reached my flash object like I wanted them too : ). Moreover, I had 2 scrollbars on the stage and one MouseWheel event. So even when the MouseWheel event was passed to my flash object from the browser (if ever), it didn’t control the correct scrollbar. I’m not sure if only 1 worked or both did. It’s been a while.